LEN - www.lankaenews.com | Check leaf proof etc. 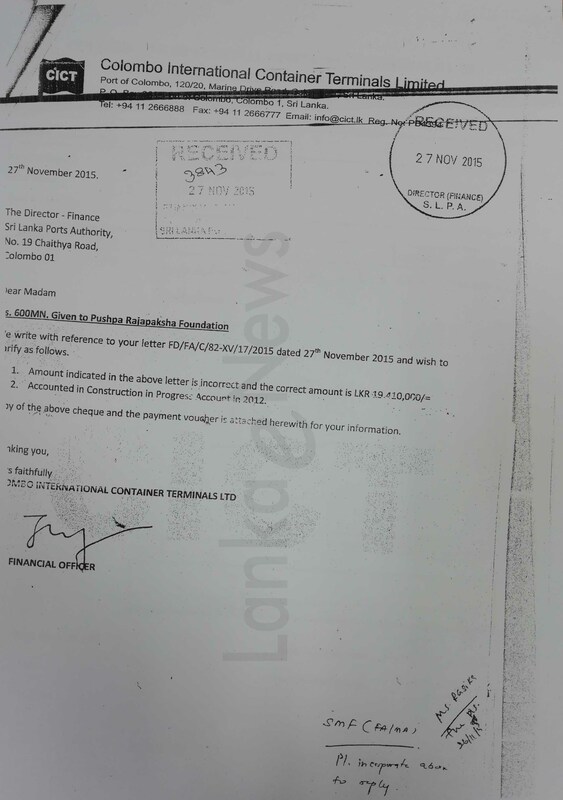 to prove payment of Chinese Co. to Pushpa; that amount plus interest thereof must be repaid to China ! 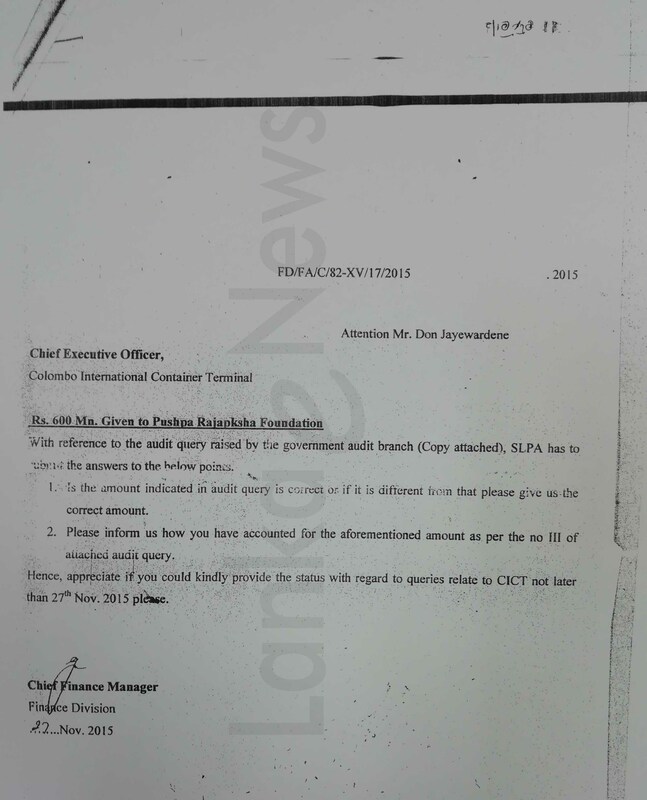 When inquiries were made from the ports Authority financial Director and the CICT Co. chief executive director officer , the true picture had been confirmed. 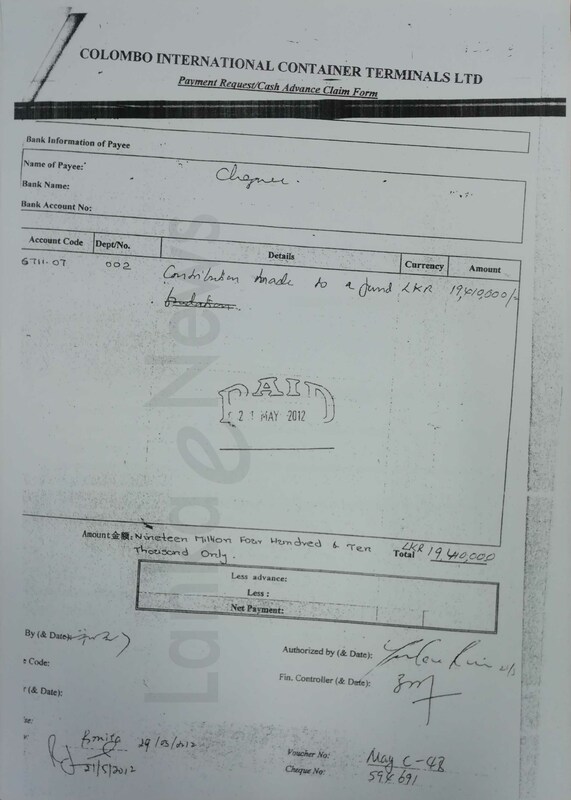 In the audit query it had been questioned, when there are so many voluntary organizations in the country , why was such a whopping sum paid to Pushpa’s organization ? On this earth the truth cannot be concealed forever. 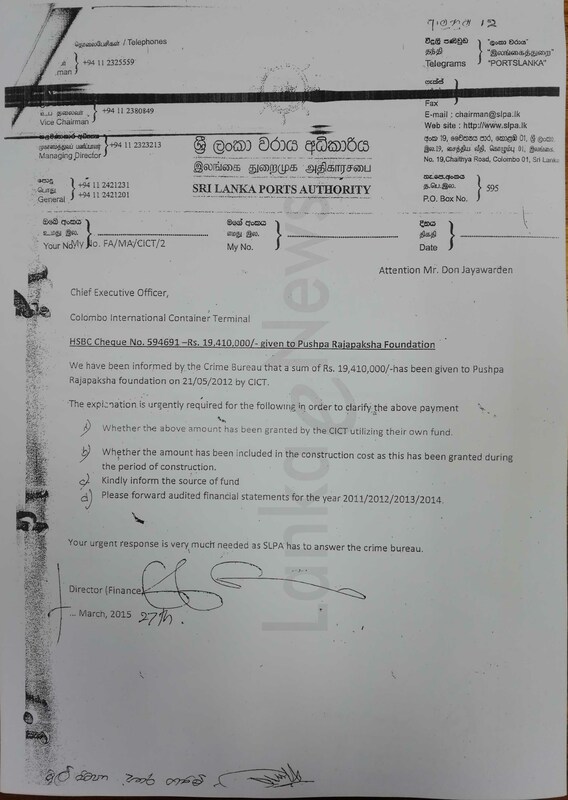 One such truth that was revealed and could not be concealed is, Pushpa Rajapakse Foundation despite collecting such a colossal amount has not even built a lavatory on behalf of the people.